Manufactured By – Soundholic Co. Ltd. Distributed By – Tokuma Japan Communications Co., Ltd. 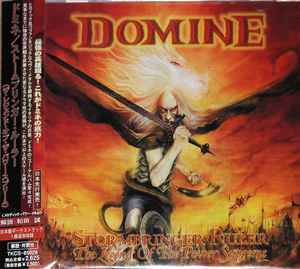 Recorded, mixed & mastered at New Sin Audio Design, Loria (TV) during April, Anno Domini 2001. ℗2001. Manufactured by SOUNDHOLIC CO. LTD. Distributed by TOKUMA JAPAN COMMUNICATIONS CO. LTD.